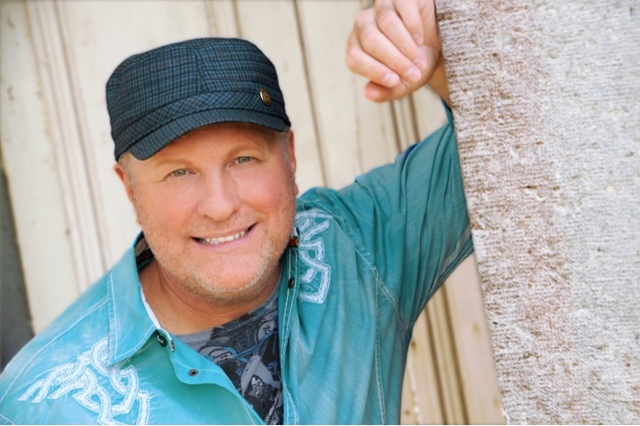 NASHVILLE, Tenn. (August 9, 2016) – 25 years after Collin Raye shot to fame with the timeless No. 1 hit “Love, Me,” the country sensation is still considered one of the hardest working acts in the business, with a heavy multi-state touring schedule, including a Mexican Riviera Cruise, remaining in latter part of 2016. Raye is bringing his exciting and uplifting live show across the U.S. to celebrate a quarter-century of success in the industry. On The Big 25 Tour, the energizing showman performs vivid rockers like “My Kind Of Girl,” “I Can Still Feel You,” “That’s My Story” and “Little Red Rodeo.” Fans can also look forward to hearing his smooth tenor on iconic ballads like “In This Life,” “One Boy, One Girl” and many more. Raye has built a career on songs with an emotional connection to listeners that other acts of the era can only dream of. In 1994, the music video for the poignant hit “Little Rock” led to more than 100,000 calls to Alcoholics Anonymous from people seeking help for their addictions. The song and video for “I Think About You” exposed the exploitation of women and children, earning Raye the award for “Video of the Year” from the Academy of Country Music in 1997. In addition to impacting lives with his issue-oriented music, Raye has utilized his stardom to advance social causes through his tireless charity work. He has supported organizations like Special Olympics, Parade of Pennies, Monroe Carell Jr. Children’s Hospital at Vanderbilt and The Tennessee Task Force Against Domestic Violence, as well as founding the Haley Bell Blessed Chair Foundation to honor the memory of his granddaughter. Fans are anxiously awaiting Raye’s soon-to-be released “Silver Anniversary Album” to commemorate his 25 years in country music, featuring new recordings of his greatest hits. Most recent projects for the ten-time Male Vocalist of the Year nominee include a tribute to Glenn Campbell,Still On The Line, an inspirational album, His Love Remains, and his first autobiography A Voice Undefeated. To purchase, please visitwww.collinraye.com. Aug. 09 Warren County Fair – Pittsfield, Penn. Aug. 11 Brighton Casino – Okeechobee, Fla.
Aug. 15 State Fair of West Virginia – Fairlea, W.Va.
Aug. 25 Morganton Municipal Auditorium – Morganton, N.C.
Aug. 26 Centre County Grange Encampment Fair – Centre Hall, Penn. Sept. 03 Kiwanis Wyoming County Fair – Meshoppen, Penn. Sept. 16 Little America Hotel and Resort – Cheyenne, Wyo. Sept. 17 Memorial Hall – Pueblo, Colo.
Sept. 19 Casper Events Center – Casper, Wyo. Sept. 21 Evanston High School – Evanston, Wyo. Sept. 23 Bartlett Performing Arts and Conference Center – Bartlett, Tenn.
Sept. 24 Wishbone’s – Fort Smith, Ark. Oct. 01 Dixie Carter Performing Arts Center – Huntingdon, Tenn.
Oct. 09 Big 25 Tour Cruise – Los Angeles, Calif.
Oct. 10 Big 25 Tour Cruise – Los Angeles, Calif.
Oct. 11 Big 25 Tour Cruise – Los Angeles, Calif.
Oct. 12 Big 25 Tour Cruise – Los Angeles, Calif.
Oct. 13 Big 25 Tour Cruise – Los Angeles, Calif.
Oct. 14 Big 25 Tour Cruise – Los Angeles, Calif.
Oct. 15 Big 25 Tour Cruise – Los Angeles, Calif.
Oct. 16 Big 25 Tour Cruise – Los Angeles, Calif.
Oct. 22 Arkansas State Fair – Little Rock, Ark. Nov. 06 Tribute to the Veterans, Foothills PAC – Oneonta, N.Y.